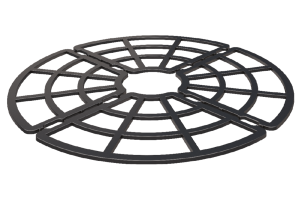 TALPROFILI® FIXED SUPPORTS quickly and easily resolve problems arising from the installation of a paving system. 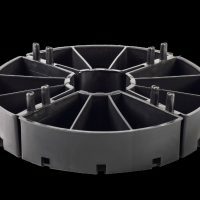 The support consists of a high resistance base which is placed directly onto the waterproofing cap sheet. The paving slabs are then placed directly onto the supports without the use of concrete or adhesives of any sort. 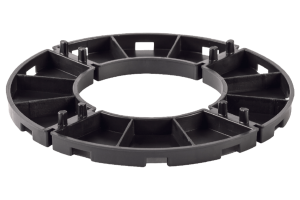 The base is fitted with guides which position and anchor perfectly the paving slabs and which at the same time act as expansion joints. 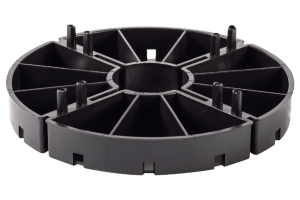 The base of the support is made of HDPE and its shape allows rainwater to drain and ﬂow of easily on the underlying waterproofing membrane, thus also eliminating any chance of ponding caused by the supports themselves trapping water. 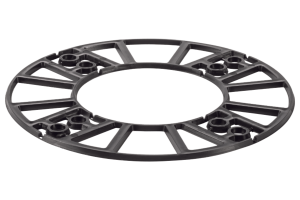 All of the supports are modular and can be stacked so as to achieve the height or thickness of gap underneath the paving desired, and eliminating any unevenness of the roof deck itself. 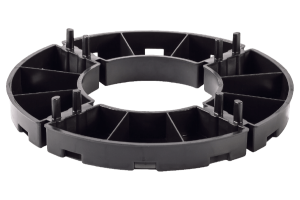 The supports are designed to eliminate cracking and damaging of the waterproofing membrane caused by expansion and contraction of the paving or damage caused by walking on the paving. Over and above these advantages it is also a very quick and cost effective means of installing the paving. The paving can be readily removed and replaced should it become damaged or should inspection of the waterproofing be necessary, without any damage at all. 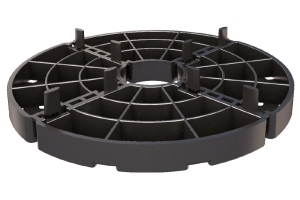 The system also forms an insulation layer of air between the lower surface of the paving and the waterproofing and protects the waterproofing itself from damage by exposure to sunlight. 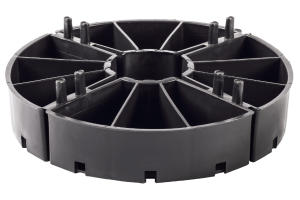 ITALPROFILI® base has been designed to fully interlock when stacking, various heights raised paving can be achieved from 10 mm. upwards. Combinations of supports and levelling shims will allow the gradual increase in raising heights, thereby giving a level finish with all drainage falls under the slabs.